I want my MTV!…Stellarlite designed and developed this online animated media banner campaign in conjunction with raised 360. 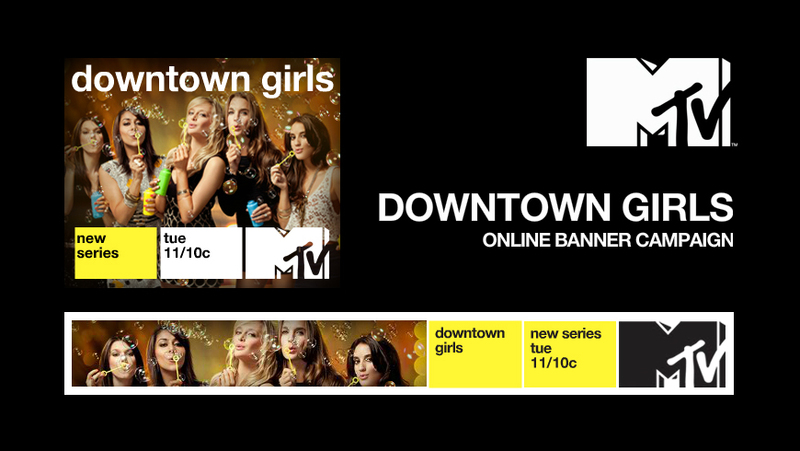 Its an MTV show about girls and those girls are downtown and they have bubbles, that much we know. It appears to be true…girls just want to have fun, we will bring you more as the story unfolds.